Page 7:My favourite animals so far + more impressions. Page 6:GG impressions, amazing new pics, other peoples impressions. The game's retail price has dropped to £20 in UK shops, cheaper online. Stressed from work? Tired? Frustrated and miserable with your life? If so, why not try dipping your toe into thecalming world of Endless Ocean for Wii; where you can swim with the dolphins, rub them and narrowly avoid being swallowed by massive whales to the soothing tones of Enya? That actually looks like fun. I wish more titles would focus on ocean exploration. The graphics look very good too. It certainly does look like a lot of fun.I think this isa must buy now. Err no thanks, am I the only getting really really sick of seeing some stupid actor/actress with stupid grins on their faces waggling a fricking controller??!? Enough already!! We get it Nintendo!! It's been 9 months now and I'm sick of having to stare at....oh god....the MP3 trailer...my god oh my god......3 planks standing up staring at MP3, get real, I'll just invite 2 of my friends around when I purchase it and say "right, can you stand to the left of me and you stand to the right, I'm going to play MP3 now and you both have to stand there like a couple of lemons while I play it. "....ugh it annoys me to hell and back! Err no thanks, am I the only getting really really sick of seeing some stupid actor/actress with stupid grins on their faces waggling a fricking controller??!? Personally I will never grow tired of watching Wii ads likethis andthis and this. LOL that's not a game. Can you kill the penguins? So.... where the bikini babes at? Damn, where are my traditional games at full difficulties! Heh that Haley bird is kinda cute. 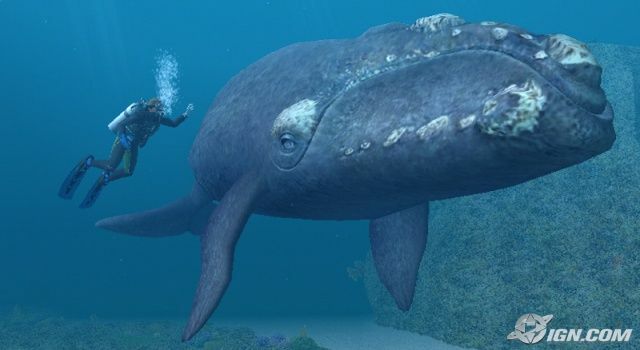 There should be a mission where you can swim into a whales mouth, plant some explosives, swim out and KA-BOOM! Seriously where are the guns? Can you sneak up to a submarine and plant some bombs? Can you kill the penguins? Will no one answer me?! The two cubes duct taped together can barely handle the ocean, we need HD. That looks and sounds incredibly cool. 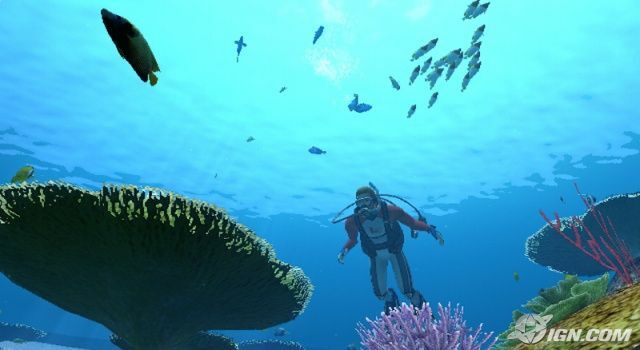 I definately don't mind just exploring a highly interactive and detailed ocean environment. 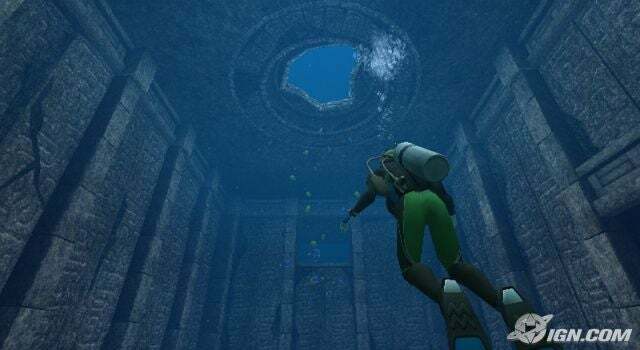 It be pretty awesome exploring some intricate underwater caverns. "Endless Ocean lives and dies by its weapons. Yes, a harpoon with a chainsaw mounted to the bottom of it is just as awesome as it sounds, though since most of thefishes are content to hide behindcoral and mow you down if you attempt to get close, you don't get to use it as often as you might like. But when you do, it's a terrific display of great, splashy blood effects. The other weapons in the game aren't quite as flashy, as you'll get a standardharpoon, trident, knife, underwater wallet and so on. But you'll also get to use something called the Hammer of Atlantis, which is an orbital satellite that beams down hot, fiery death from above when you paint a target, such as an evil Big Blue Whale. But the catch is that the satellites have to be lined up above your position and you have to be outside of the caves and coralfor it to work, so it's only available in a few very specific situations during the campaign." :lol: That was awesomely hilarious. Kudos. Hammer of Atlantis is brilliant. Is the Wii region locked? This seems like it would be import friendly. It is, but this is coming to the West, it's been confirmed. You know what this game needs though? Underwater volcanoes, shark cages where you tempt the sharks with meat and take photos or prod them with harpoons. I hear that this game has wi-fi for two playesr to dive together, that's cool. You should be able to hook onto a sperm whales back and watch it hunt for giant squid. I seem to remember a Forever Blue game for the PS1/2. Certainly looks original and relaxing, not sure about the fun part yet. 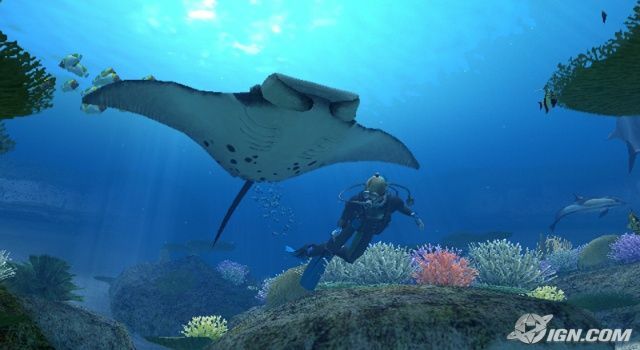 if this is good, I have at least two scuba diving nut friends who will buy a Wii just for this. And you do what exactly in this game? Oh and can you kill penguins? Yes, if the animals in Afrika were submerged in the Endless Ocean, they would indeed be killed. I checked the GS review score of the prequel, and it seems to voice my major concern: What the heck do you actually DO in this game? 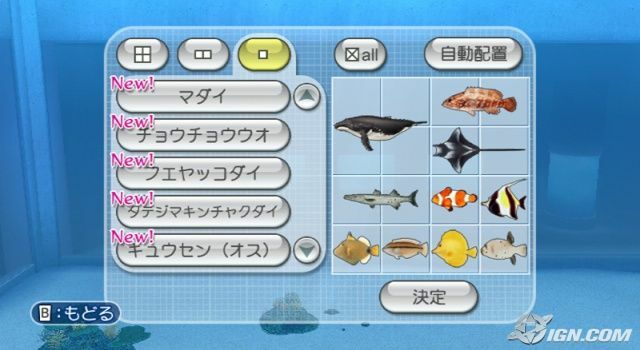 I'm all for an underwater adventure, yeah, and Famitsu may say that there's a lot to do, but I don't see it. All I see is the main character swimming around and playing with animals. Still...I like the concept...I hope it turns out well. Exactly, and since its being released to the Wii crowd it should sell hundreds of thousands of copies. On an unrelated note, why couldn't they keep the name "Forever Blue"? It sounds much better than "Endless Ocean". I don't know why, but as someone who enjoys just running around in the woods in Oblivion, I could deal with this game having absolutely no gameplay. I'd be happy to just zone out and explore stuff. When I saw the trailer for this game it seemed eerily soothing. Something about just swimming thorugh the ocean and exploring it seems like it would be a lot of fun. It also seems rather original as I've never really played an ocean exploration game before. I certainly hope there's loads to do, though I don't know if I'll have enough room in my budget this year for another game. Hopefully I can find a good deal on it when it comes out. At best, it will have a Pilotwings 64 kinda vibe in that you can play an actual game or just explore. At worst, and the more likely scenario, this will be flat-out boring with uninteresting terrain in every direction. Definately looks like my kind of game since I love exploring large virtual enviroments, but I hope we can disable that awful music (I won't buy it if I can't). I'd much rather it have no music and be able to hear realistic underwater sound effects instead. 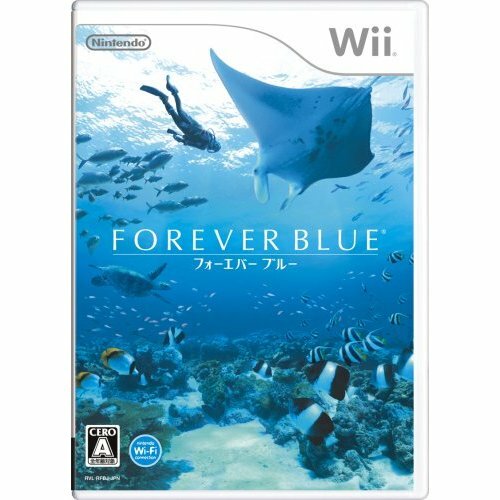 The Wii may not be exactly up to PS3 and Xbox 360 levels when it comes to visuals, but that doesn't keep Forever Blue from being one of the most stunning underwater recreations ever put to the videogame screen. 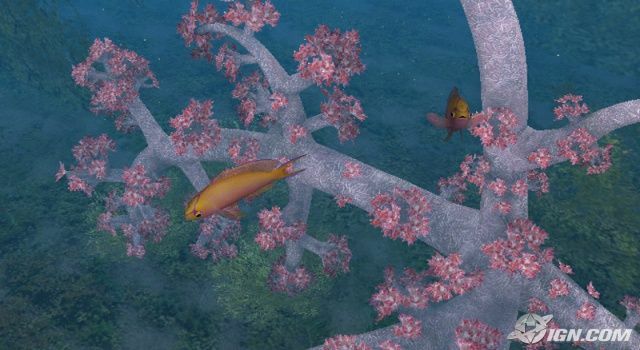 Fish and your in-game diving counterpart are modeled and animate well, but the big stars are the colors and lighting for the surrounding environments. Everything is so vibrant that watching the game can be just as hypnotic as playing. 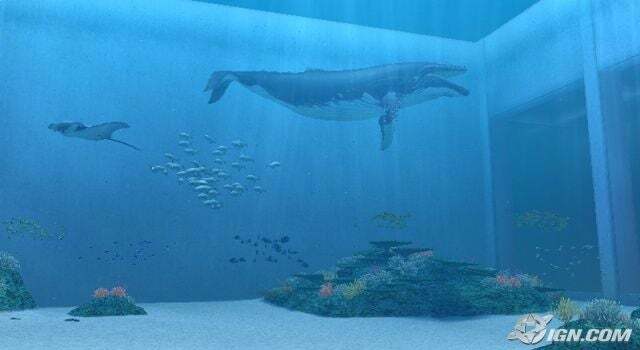 While swimming is fun and all, it would be tough to justify paying full price for a virtual aquarium. Thankfully, Arika has filled the title with other diversions, some offering hints of actual gameplay. 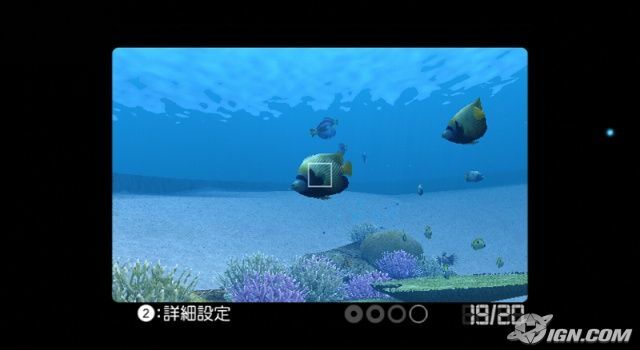 You're slowly introduced to new areas of the sea as you play through missions. 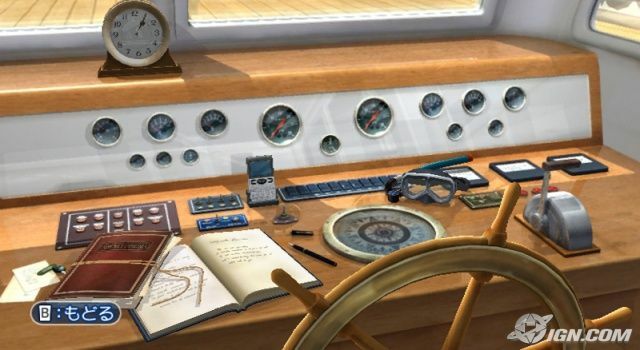 These require that you to travel to certain areas of the sea in a search for lost items, or simply that you take someone on a tour of the waters. If you see a fish that interests you, Get friendly enough, and information about the creature will be added to a growing sea-life gallery that's accessible from your ship. Eventually, you'll gain access to an aquarium that you can freely populate with your underwater pals. 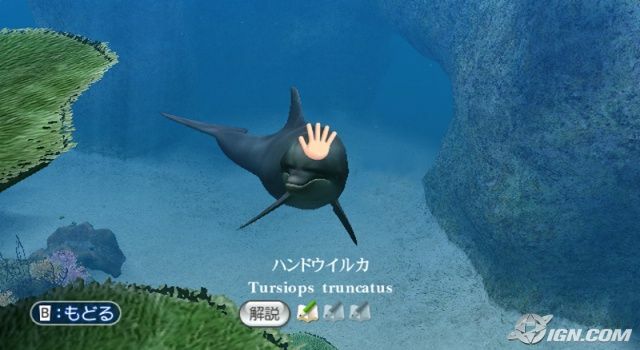 Early in the game, you come into the company of a special friend, a dolphin! 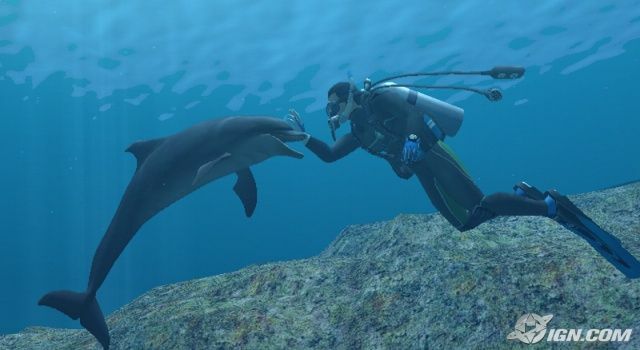 Following your initial meeting, you can call the dolphin to your side whenever you're out on dives. You can also teach the dolphin to perform tricks! On top of the pointer-based controls and gorgeous visuals, Arika has managed to take advantage of a few of the Wii's lesser-used features.The game can read MP3s off your SD card, so you can listen to your own music instead of the peaceful tunes that come included standard. The game also has another rarity in Wii gaming -- full online support! 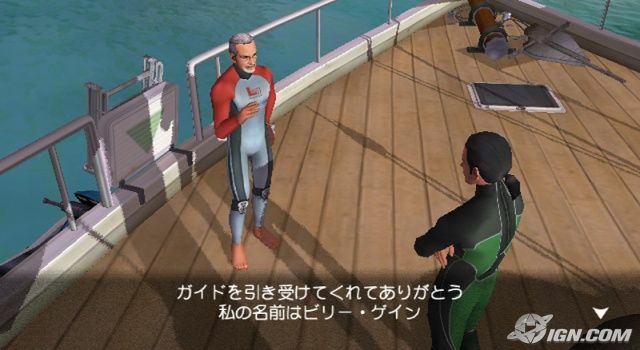 Making use of Nintendo Wi-Fi Connection, you can travel to your friend's boat and head out on dives for cooperative exploration. I'm immediately going to track this game.The only problem I would have with this game is the price. I'm a little skeptical on paying $50 for a game like this. I'll cross my fingers and hope that the price is somehow lowered. So far the game reminds me of nintendogs, in that you'll play for half an hour, put it away. Then come back the next day for another half an hour and so on. One of those games-not-games kind of deal. An experience if you will. I can't wait for this game. This is my 3rd most wanted game for the Wii this year. Same here... anyone who says the Wii can't produce good graphics hasn't paid attention to this game. OMG reading the IGN comments has made this one of my most anticipated games (or non games if you like) ever. Being able to dive with a friend online is just about the best feature this game could have and i'd have thought it too good to be true. 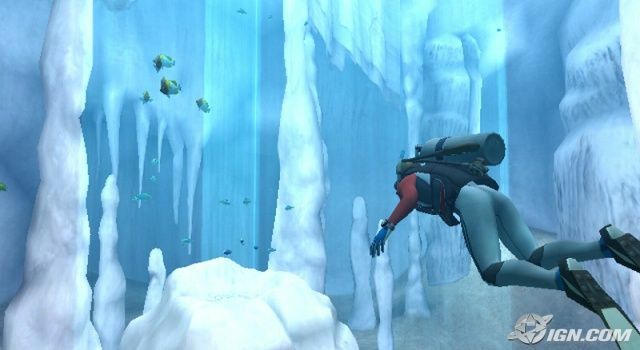 I think my scuba-diver friends won't be able to resist getting a wii once they see this. So in that respect it could be like Nintendogs in that it might make lots of people buy the hardware just to play it. but i don't think it'll grow old as fast as Nintendogs since there will be some tasks and things to do. 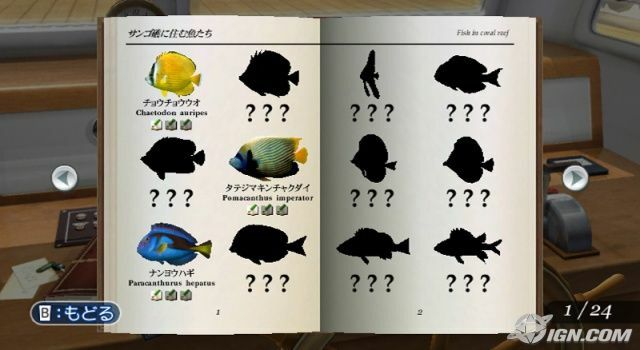 It sounds like it will also have a strong 'gotta catch them all' element as well which (if as good as say Animal Crossing's) could give the game great longevity ... and ultimately the online feature could make it ... endless. I'm well hyped for this. I watched one trailer and two of the commercials, and this game looks kinda boring. I have it on my tracking list, and I really hope I'm missing something here, because the concept sounds fun. Yeah I can certainly understand that. I don't see it as a game that will score well with western critics or gamers alike. But one of those niche games that will be appreciated deeply by a few, maybe including me, or not. 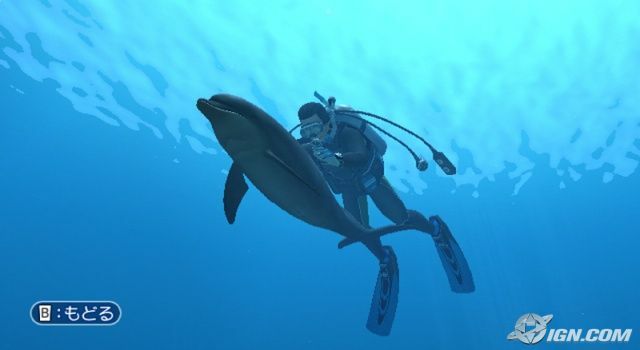 It seems like one of those non-games, more of an experience, exploring and charting the sea life, training your dolphin and just chilling out to the tunes and atmosphere. 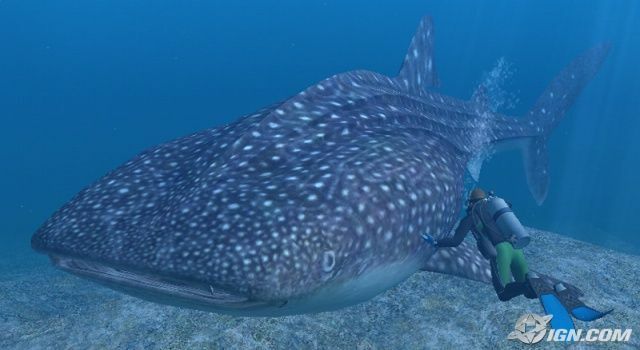 I watched a video and was:shock: by the whale shark when it appeared. It doesn't have the best graphics out there, but the animation and attention to detail creates a realistic, chilled atmosphere. All the things I meantioned before would make the game better, underwater volcanoes, ruins with puzzles etc. I can really enjoy a game like this, even if it is just exploration. That said, they really should try to release the game in the states for a lower price to coax people into buying something that they might otherwise ignore. An SRP of 29.99 sounds about right. Great screenshots, GG. This game looks sooo nice. Wow the things that get called "games" nowadays. Who would pay $60 for something with little to no gameplay? I have to admit the graphics are impressive...but with no real game to it its not something im interested in. Actually, everyone whose given impressions of it has said that there's a lot of stuff to do (you can find it in this thread) and that's why I'm so confused. Supposedly, there's a whole lot of content that I'm just not seeing. I'm thinking that this game might have some kind of oddball appeal to it like Animal Crossing. Woah. That's a whole lot of screenage awesomeness there GG. I've always been fascinated with underwater exploration so this is definately something I can totally get into. I'm a little up in the air on this one. There's potential for this to be one hell of a game, if they include some direction for the player to follow. I love games that encourage exploration, and usually have a strong distaste for linear games. But ultimately I still need a goal in my games, or some kind of incentive to keep me going more than just filling up my aquarium. I'd like to hear a little bit more about that in this game's description. 1. The enjoyment in the exploration and the ability to get lost in the ocean and not care. 2. The enjoyment and the sense of purpose in the objectives/tasks. 3. The 'gotta catch them all' collecting aspect. 5. The player-player interaction. 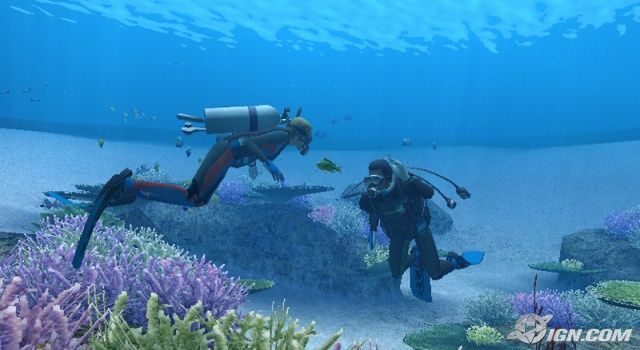 Diving and exploring with a friend (with the option of doing it through the internet) could give this game infinite lastability. But joking aside, I do like the title and the game looks original, which is good too. I find this game attractive beyond my own comprehension. That's funny rragnaar ... while I don't share that fear (which is as you say absolutely irrational), I have a close friend who never learned to swim and never goes to the beach and his explanation is that jaws messed him up irreversibly as a child. I see he's not the only one. One part of me is going "hey, this shaped up nicely since I last saw it, I think I might buy this". The other however feels more like "yeah, so it's a bunch of animated polygons with rather blurry textures. Hey you pikachu without the mic"
Really, the longevity of the game will be greatly determined by how deep the sealife simulation aspect goes. Will all animals feed, sleep, treck, or will they just hang around specific areas where they might not even be seen in the wild? It's this kind of thing that will make or break the game for me, and I doubt that stuff like this will even be mentionned in reviews.